Steve helped to haul the escape party swimmers out of the water as they swam out to the lone 27 after their ordeal on Aberdeen Island. The flotilla took a beating during the battle for Hong Kong. 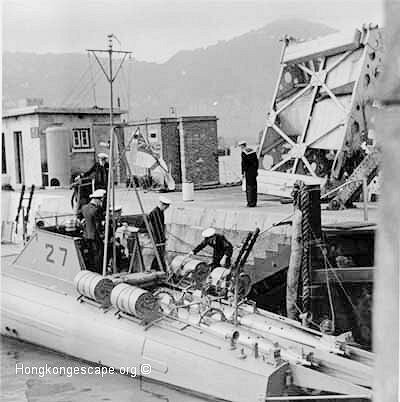 When the Japanese invaded Hong Kong Island, the 2nd MTB Flotilla was ordered to attack and expend all ammunition shooting up everything in sight. Unbeknown to the flotilla, the Japanese had already established a beach head on the Island west of the Sugar Refinery at North Point. Guns to the left, guns to the right, guns to the front and cannon from above, on they sped into the fiery jaws of the oriental dragon itself. This was the maritime equivalent of the charge of the light brigade in the Crimea. Lt Ronnie Ashby whose family motto was "Be Just and Fear Naught" led the flotilla with Jix Prest & Buddy Hide at the controls of MTB 07. Pressing home the attack under withering fire from land, sea, and air, they suffered heavy losses in the process. Only three MTB's survived to limp back and come alongside HMS Robin in Aberdeen. Lt Kennedy on MTB "09" towed the stricken "07", peppered with 97 holes and two dead bodies in the engine room, back to base. The flotilla had lost 40% of its attacking force. 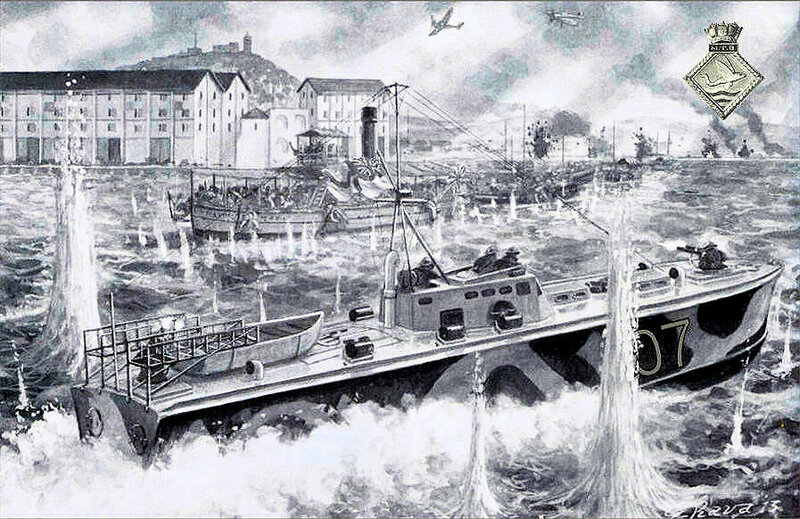 The attack was arguably the most daring daylight MTB attack of all time, and was referred to as “The Balaclava of the Sea.” by Coastal Forces world wide. They were hailed "The bravest of the brave." After 3000 miles traveling overland through China and Burma he arrived in a deserted Rangoon. Steve returned to Akyab in Burma on the Heinrich Jessen along with the other Telegraphists with Collingwood and Kennedy. Lt Collingwood stayed behind in Akyab, eventually flying out from Chittagong to Calcutta on the 18th April. From there he went on to Ceylon before returning to the UK. Stephen along with the eight other remaining ratings in Akyab eventually left Bombay on 14th April and arrived back in the UK 1st June 1942. 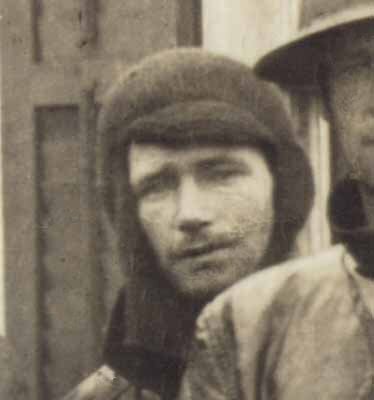 Lt Collingwood stayed onboard the Danish ship "Heinrich Jessen" and proceeded to Akyab, eventually flying out from Chittagong to Calcutta on the 18th April. From there he went on to Ceylon before returning to the UK. Lieutenant Commander Gandy R. N. (Rtrd) had prevailed against all the odds, and triumphed over adversity to deliver all his people back to safety without loss of life or serious injury after evading capture and escaping from Hong Kong on Christmas Day 1941. PO Prest: "We travelled by cycles, lorries, junks, and donkeys, but mostly we walked. It was a case of march or die"
Buddy Hide: "On the whole, the moral, spirits, and courage of the party was magnificent. I think it was the shear thoughts of beating the Jap's, and the prospects of getting home after three years, some of us four years from home, that made us carry on." It is unprecedented in the annuls of the Royal Navy, that a Flotilla evaded capture to escape across an entire continent to fight another day. 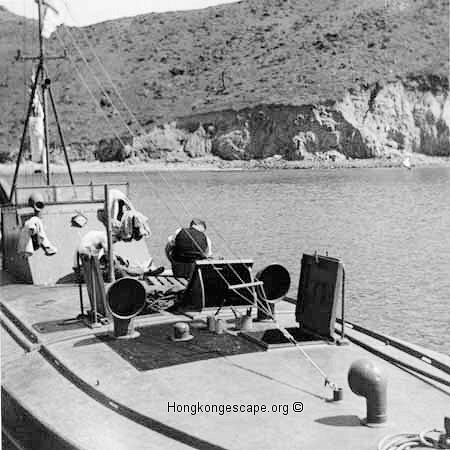 MTB 27, ex Kuamintong CMB Kuai 20 leaving harbour for exercises in March 1940 with Lt Kilbee as her CO.
MTB 27, Thornycroft 55 foot ex Kuamintong CMB Kuai 20 completed 10th September 1938 loaded with depth charges and torpedo's getting an XDO inspection in February 1940 with Lt Kilbee as her C/O. MTB 27 underway with Lt Kilbee in command in March 1940. MTB 27 loaded with depth charges in lieu of torpedo's alongside HMS Robin. 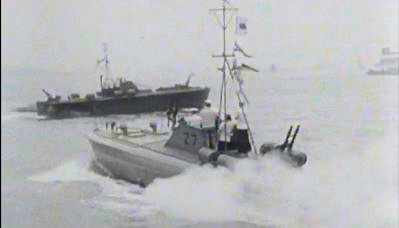 MTB 27 launching a stern torpedo. 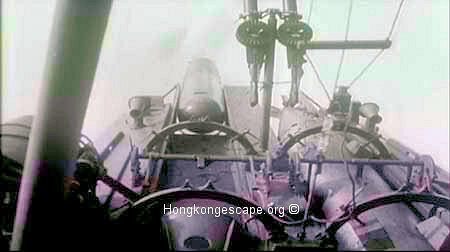 TheScott-Paine MTBs had to be stationary to launch their stern torpedos for fear of the engine room flooding through the open stern ports. The contents of this web site led to a considerable number of escapee families contacting me and now each other, and remains the principle source of contact and private information for the spin off projects that have followed. The personal accounts enabled me to record the complete and true account of this remarkable episode of Sino-British war time co-operation. 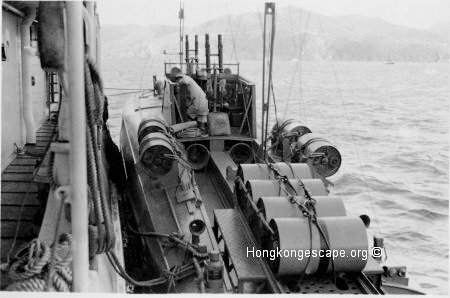 The information compiled here has directly resulted in a museum exhibition in Hong Kong, a re-enactment of the escape in Hong Kong and China, with a movie drama and documentary in the making. HTML5 requires a recent, fully-updated web browser. If you experience any problems, you need to update your browser.